Chanel West Coast wears silver hair color with purple reflections to match her cotton candy outfit. 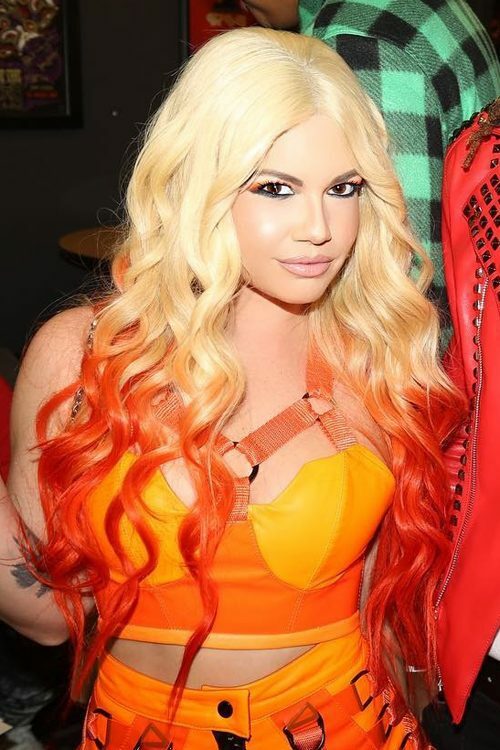 Chanel West Coast has long pink hair. Chanel West Coast attend the Nylon nights Los Angeles ‘It girl’ issue party at the Doheny Room. Chanel West Coast at the 2016 Maxim Hot 100 Party at Hollywood Palladium, 6215 Sunset Boulevard in Los Angeles, CA on July 30, 2016. Chanel West Coast at the 2016 MTV Video Music Awards at Madison Square Garden in New York, NY on August 28, 2016.